Services • Dynamic Door Service Inc. | Dynamic Door Service Inc. Call 847-885-4751 for a free estimate! Does your business need revolving door repair or maintenance? You can trust the technicians at Dynamic Door Service to provide high-quality products and services at competitive prices no matter the scope of your needs. 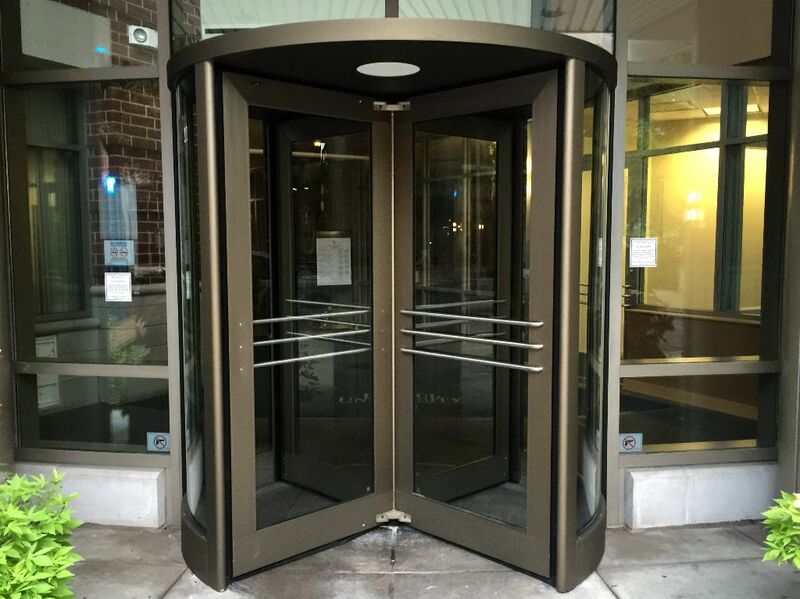 Dynamic Door Service is a revolving door repair company that understands the importance of a dependable facility in the Chicago area. That’s why we’re committed to providing complete revolving door service for businesses in our area. You may want to consider taking advantage of our Preventative Maintenance Program to keep your revolving doors operating safely and efficiently. We’ll be happy to give you a free consultation upon request. 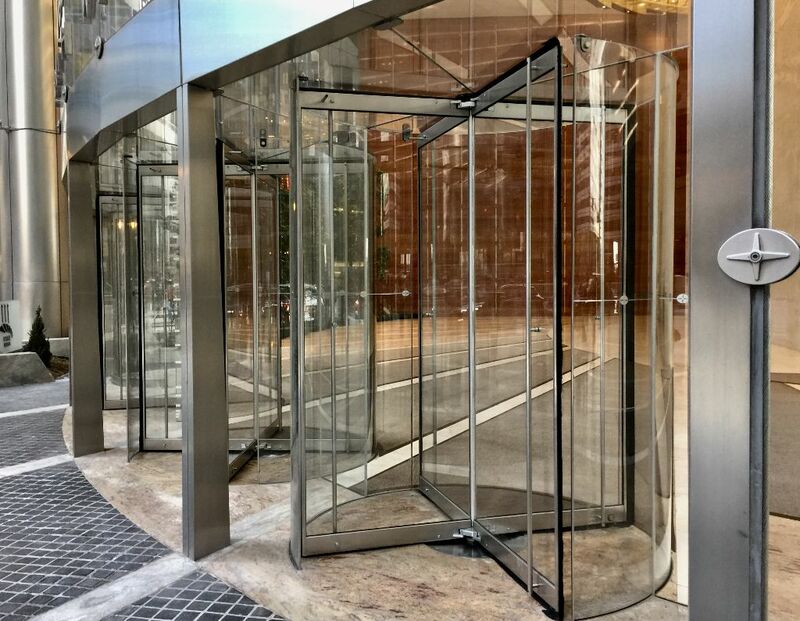 Is your Revolving Door Safe? 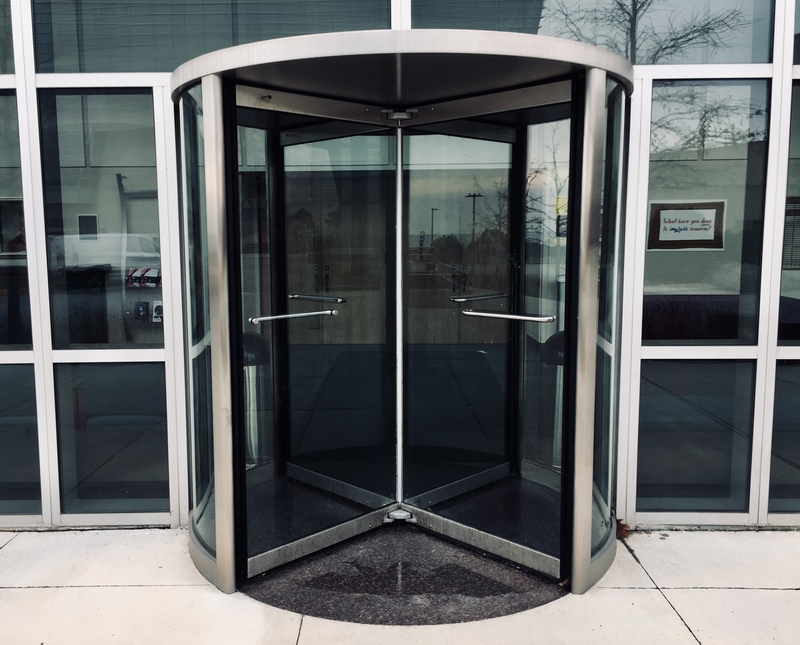 All revolving doors are required by the “BOCA” National Building Code and the National Fire Protection Agencies’ “Life Safety Code” to be equipped with a speed control to limit door speed and an emergency bookfold mechanism to allow for emergency egress. The bookfold mechanisms and speed control should be tested and lubricated on a regular basis to ensure proper operation. The door hardware we provide at our shop will ensure that your revolving doors function correctly at all times. We use only Factory Original Hardware for Crane, International and Boon Edam manual revolving doors. We keep a large supply of parts IN STOCK such as: Weather Stripping, Speed Controls, Hangers, Discs, Pivots and Locks.